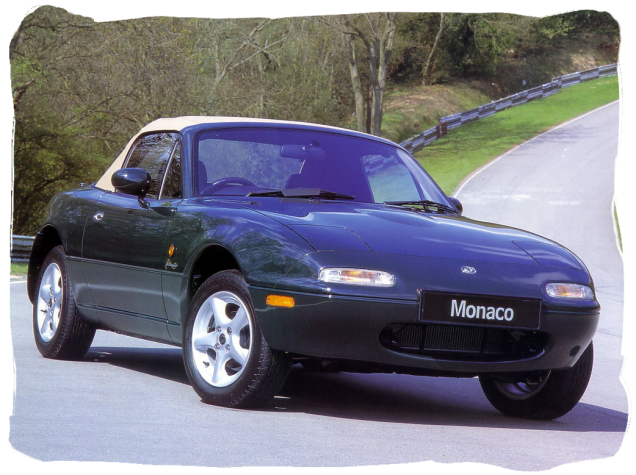 The MX-5 Monaco was a 1996 special edition model for the UK market. The car used the newly introduced de-tuned 88Bhp 1.6 engine. 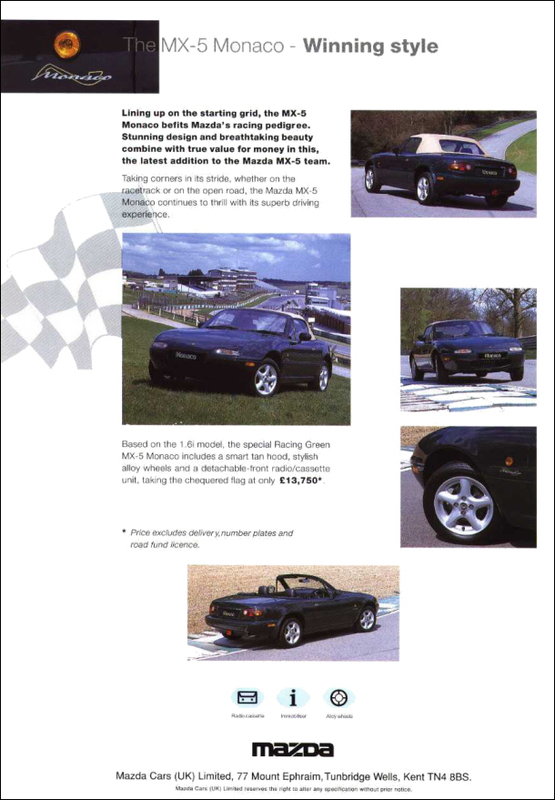 This was intended to make MX-5 ownership more affordable with lower insurance and running costs than previous models. It also allowed for a noticeable performance gap to the 1.8 litre models. This cheap and cheerful edition was named after the glamourous Monaco Grand Prix circuit and featured special decals rather than badges. Finished in the classic BRG colour, a contrasting tan soft top was fitted to help it stand out from regular models. 15" five spoke alloy wheels and a cassette radio were standard equipment. There were 450 Monaco editions available priced from £13,750.